Why Do Dogs Chase Their Tails? The Hidden Meanings Behind The Fun! 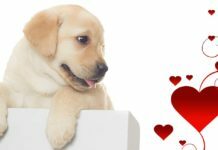 Home Labrador Facts & Fun Why Do Dogs Chase Their Tails? Is it for fun, or is there some deeper meaning behind it? A dog chasing its tail is a stereotypical image, but not many people actually know why our canines do it. Truthfully, it can seem pretty pointless to us. However, while this behavior might seem rather innocent, it can be a sign of underlying problems that need to be addressed. But how do you tell why your dog is chasing his or her tail? And when is it time to take your dog to the vet? In this article, we’ll discuss all the reasons behind why dogs chase their tails and help you figure out if it might be time to have your pooch checked out. What Does It Mean When a Dog Chases Her Tail? A dog might be chasing its tail for a number of reasons. The most common and innocent reason is simply out of boredom. Dogs need to run and have fun. When they don’t, they might resort to chasing their own tail. Another reason is for attention. If your pup has noticed that you pay attention to him or her after a tail-chasing excursion, that may be a technique used to continue to get attention. Genetics can also play a role in how much a dog chases her tail. Certain breeds tend to do it more than others. There are also a couple harmful reasons your dog might be chasing her tail. Dogs might chase their tails if it they’re infected or irritated by fleas or ticks. The severity of the problem can vary quite a bit depending on what exactly is wrong. Dogs can also chase their tails as a compulsive behavior. In other words, they can chase their tails due to an underlying mental illness that causes them to unnecessarily chew, bite and chase their tail. Dogs most commonly chase their tails out of boredom. Dogs require exercise and fun every day just like humans do. If they don’t get it, they sometimes attempt to entertain themselves by chasing their tail. This is particularly common in puppies, who tend to be more active than their adult counterparts. If your dog is chasing her tail and you have been unable to find a cause, it is probably due to boredom. If your dog seems to be chasing her tail out of boredom, it might be a good idea to figure out why, exactly, she is bored. While it is not necessarily harmful for a dog to chase her tail when she is bored, it can be a sign that she is not getting enough exercise or being mentally stimulated enough. Getting your dog outside more or purchasing some toys designed to mentally stimulate her might eliminate the tail chasing behavior. This reason usually emerges after a dog has begun chasing her tail for a different reason. For example, your dog might originally have begun chasing her tail because of boredom but, after getting a reaction from you, is now chasing her tail just to get that reaction. There is nothing innately wrong with this behavior, and it will usually not progress to the point of injury. However, if your dog chases her tail regularly for attention, then this can cover up illnesses that might cause a dog to chase her tail. 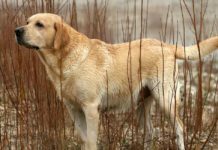 In other words, if your dog chases her tail for attention but then develops an infection, you would not notice a change of behavior and might miss the infection altogether. Because of this, we recommend regularly checking your dog’s tail for problems, even she is usually only chasing her tail for attention. Genetics appear to play some role in how often a dog chases her tail. Certain breeds, such as the German shepherd, appear to chase their tails more commonly than other breeds for unknown reasons. Other breeds, such as the bull terrier, are prone to underlying disorders that can cause them to chase their tail. In most cases, this behavior cannot be remedied. You cannot, after all, change your dog’s genetics. However, if it is an underlying disorder causing the problem, it can be treated, and the tail chasing might eventually cease. Dogs can also get infections on their tails that can be quite itchy and painful. This can subsequently lead to the dog attempting to bite and gnaw on her tail. Some dogs are more prone to this than others. 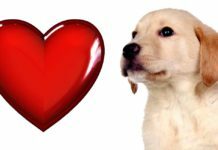 Dogs with corkscrew tails, for example, are very prone to bacterial infections, especially if their tails are particularly tight or dig into their skin. In these cases, the tail must be treated and, in some cases, even amputated. 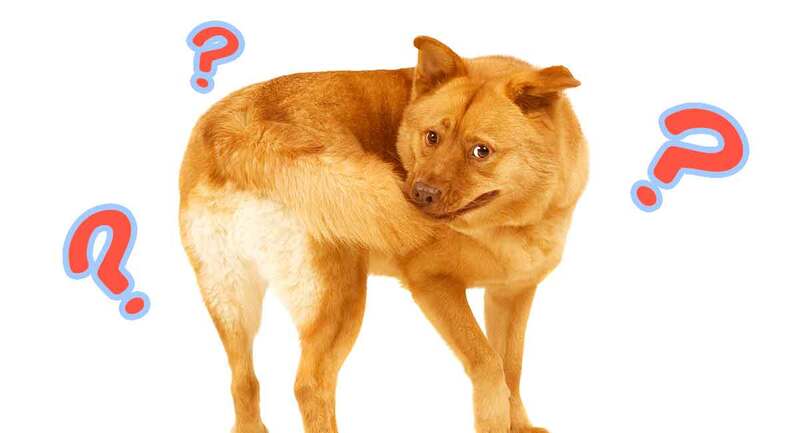 If your dog suddenly begins chasing her tail, it could very well be a sign that it is infected. Surprisingly, studies have shown that many dogs who chase their tails do so because of mental illness. While the majority of humans usually think tail chasing is “funny” or “cute,” it can actually be a sign of a very serious, underlying mental illness. 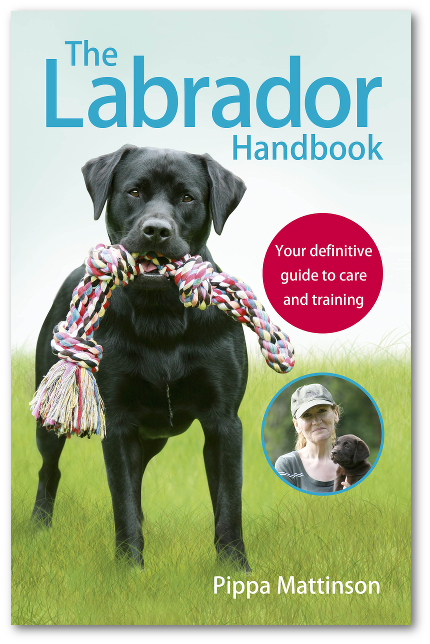 One that can cause the dog to become aggressive and dissociative if left untreated. Luckily, there are treatments for this condition. 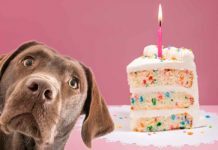 One study found that the majority of canines positively reacted to certain medications. 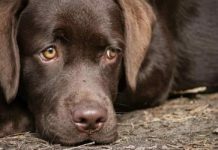 Another study, however, reported that Naltrexone, a drug commonly used to treat compulsive tail chasing, is ineffective. With correct treatment though, the majority of dogs will correct this behavior. Are your dogs chasing their tails? As you can see, the answer to “why do dogs chase their tails” varies. While tail chasing can just be a sign of boredom, it can also be a sign of neurological or pathological problems. If your pooch chases her tail often, we recommend taking her to the vet for an evaluation even if there doesn’t appear to be anything physically wrong with her. Dodman, N.H., Bronson, R., and Gliatto, J., 1993, “Tail Chasing in a Bull Terrier,” Applied Animal Behavior Science. Moon-Fanelli, A.A. and Dodman, N.H., 1998, “Description and Development of Compulsive Tail Chasing in Terriers and Response to Clomipramine Treatment,” Journal of the American Veterinary Medical Association. Schwartz, S., 1993, “Naltrexone-Induced Pruritus in a Dog with Tail-Chasing Behavior,” Journal of the American Veterinary Medical Association. Next articleDog Sleeping Positions: Are There Hidden Meanings to Your Pup’s Resting Pose? 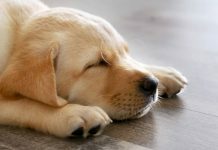 How Long Do Dogs Sleep – Is Your Dog Sleeping Too Much?